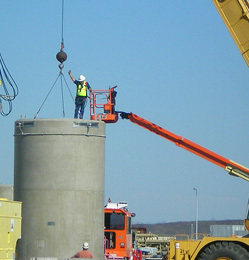 We offer custom Signal Person Training and certifications through the NCCCO. NCCCO Signal person certification class: This is a 2 day program that consists of one day of intense classroom training followed by a day of practical exams and written testing. Signal Person Qualification Class: This is an 8 hour course designed to assist employers in qualifying there Signal Persons under OSHA’s 1926 sub-part CC standard. We offer competitive pricing for individuals or group rates. Just call 623-332-2184 or Email cranesafety@gmail.com with any questions.